Following the Animas River for 52 miles between Silverton and Durango, the Durango to Silverton Narrow Gauge Railroad offers a amazing three hour trip through some of Colorado’s most scenic wilderness. As you wind along the river through the San Juan Mountains, you’ll enjoy breathtaking views of surrounding peaks and get a glimpse of what prospectors had to cross so long ago. 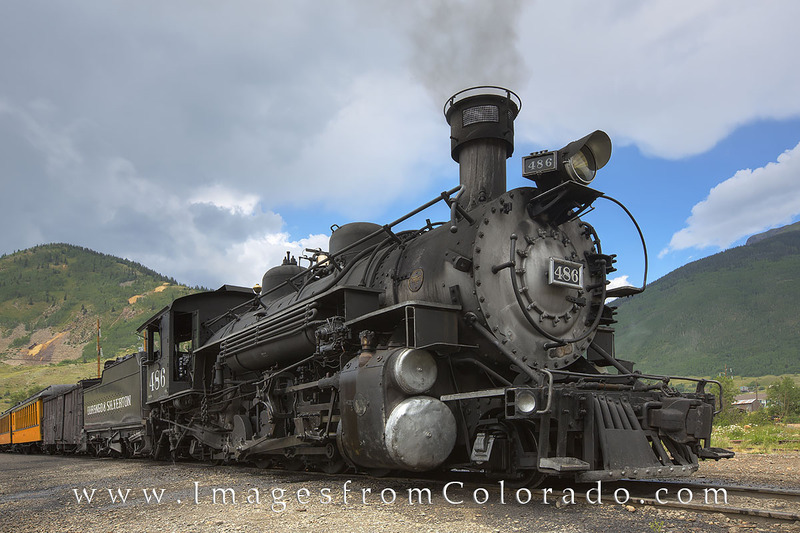 Originally built to export silver and gold ore from the San Juans, now this train transports tourists from Durango to Silverton and back, making for a great morning and afternoon. Photo © copyright by Rob Greebon.